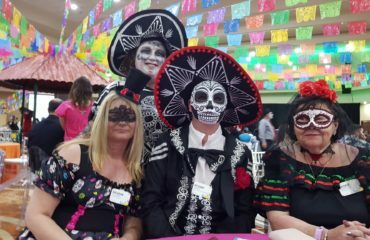 In July 2016, Scentsy announced their consultant incentive trips for 2017. Level 5: AFRICAN SAFARI! All expenses paid FOR TWO! … For our top 100 earners worldwide! So I was very excited about this announcement. Having been on Scentsy’s Mediterranean Cruise where we spent one day in Rome, I was looking forward to the opportunity of spending more time there. Having been on a few incentive trips, it is always a case of “when” and “what if” I earn them because once you have been on one, you never ever want to miss another. 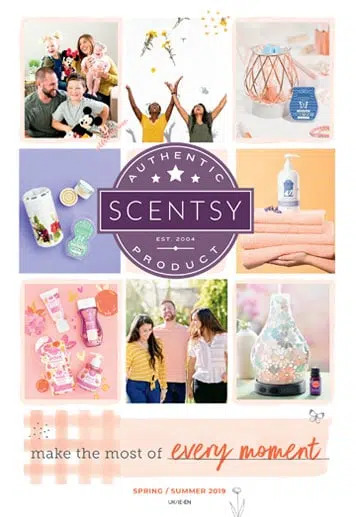 So the points for these trips are based on your own product sales, as well as helping your team grow and promote through the Scentsy titles. I was determined that this year, I would be bringing as many of my group to Rome with me. As the months passed, I found myself earning the 1st, then the 2nd, then the 3rd tiers. I was getting so excited at the thought of earning the top tier (which I saw as level 4) because there was NO WAY that I would ever earn Africa. Those top 100 spots were going to be taken by all those awesome leaders in the US and Canada so I had literally never let it enter my head. Then I earned level 4 and I was so happy! I could take my husband to Rome. Then, all of a sudden I found myself not only appearing in the top 100 tracker for this incentive, but at number 42 – how on earth had that happened???? I kept telling myself that a mistake had occurred and the tracker would correct itself, then we entered the last month of earning the African trip and I will still there! To make it even more surreal I was one of only 3 consultants from Europe who had earned it! At the end of January, the qualification period ended and I was still there! I could not believe my eyes! I had earned an all expenses African safari for two people!! An African Safari was on my “bucket list” but on that little list you have tucked away knowing that despite how hard I worked, I would never earn enough money to go on a safari, I had seen just how expensive it was and with the best will in the world, I would never experience that. Then all of a sudden I had earned it and for FREE!! Unfortunately, my husband was unable to come because we have no childcare for our two daughters but he insisted I go. 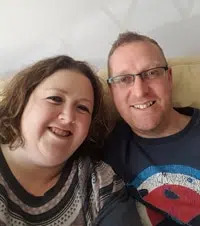 I have a friend, Debbie, who does everything for everyone, she is one of those amazing people who is there for you at the drop of a hat, always has a house full of children and someone who truly deserved this amazing experience. So on the 19 June, me and Debbie set off for Johannesburg which was the first stage of our Scentsy African Adventure. On 19 June 2017, 100 Scentsy Consultants from the UK, US, Canada and Australia arrived in Johannesburg at the Sandton Sun Hotel. As the plane doors opened, we were greeted by someone waiting just for me and my friend. We were fast-tracked through security and baggage reclaim and guided to our transportation which took us to our beautiful hotel. Our luxury VIP treatment had begun. We explored the shopping centre where we were staying and then spent the afternoon in Nelson Mandela Square drinking cocktails. Upon our arrival, we were given beautiful hand stitched safari cases to take our belongings on safari, whilst the rest of our clothes were flown to Cape Town and would be there, in our hotel upon our arrival. Very early the next morning, we were divided into camps and two privately chartered planes flew us up to Hoedspruit where we then drove for an our to our camp, the Ngala Private Game Reserve. On the way we spotted giraffes, zebras and elephants, it was a real “pinch me experience”. I don’t even know where to begin with this part of my blog. Within hours of arriving at Ngala, we were whisked straight off on our first safari. We had the most incredible close up encounters with all of the big five during our time there (lion, elephant, buffalo, leopard and rhinoceros). We stopped and had tea and biscuits at a watering hole listening to the sounds of the hippos (wow they are noisy), we then saw our first leopard and being so very close to one in his natural habitat was sureal. On our first full day at the safari, we were up at 5am and straight out onto safari, it was a breathtaking, pinch yourself experience. Then we returned to our lodge for breakfast and some resting time, before we went back out again after lunch. This is when we encountered our first sighting of lions. We saw a mum with her young cubs and then near her were three male lions. They were so beautiful, laying in the sun rubbing their full bellies after a feed, a moment I just couldn’t believe I was experiencing. Then we got a report of a nearby leopard stalking impalas. We got there with 3 other jeeps and before we knew it the leopard was using the jeeps as his hiding place. It crawled from one to the other and then the next thing we knew, he was sitting directly underneath me in the jeep! We sat there for an hour whilst the leopard waited patiently for the right moment. Unfortunately, as soon as he moved we had to leave as it was becoming dark, but we believe that he was successful but a lurking hyaena had stolen his prey which was found the next morning. The evening finished with a meal in the bush, it was amazing and a truly magical experience. 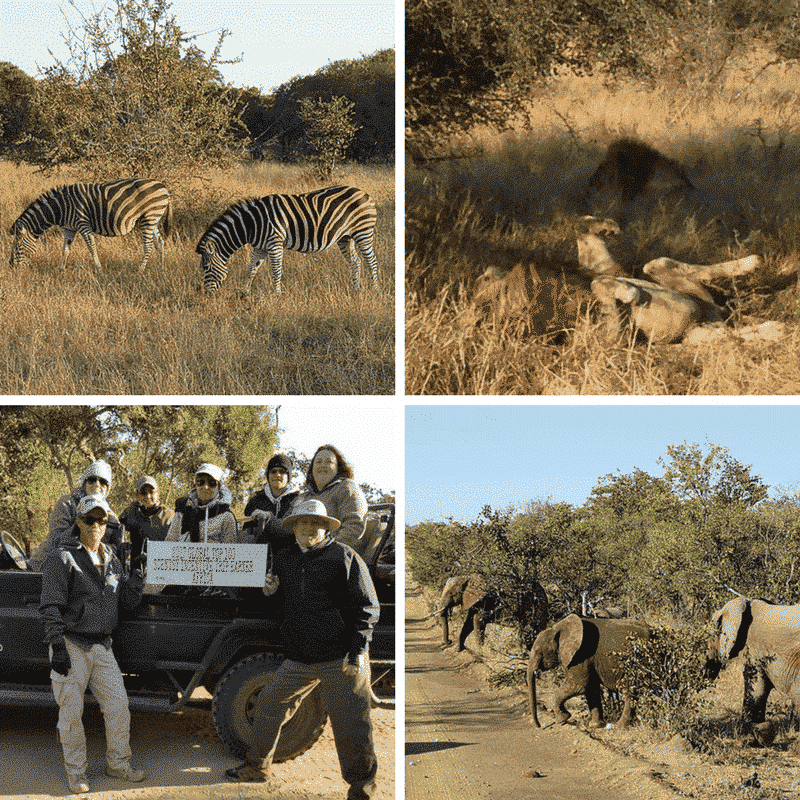 We had our final safari the following morning and what made it even more special was that it was my birthday! Scentsy then flew us to the final leg of our Scentsy Africa Advenuture. The last stage of our trip was Cape Town, somewhere I can remember watching on TV as a child and now I was actually there. We stayed at the historic and famous Mount Nelson Hotel in Cape Town. This was the first time all the top 100 consultants and their guests had been together since Johannesburg. 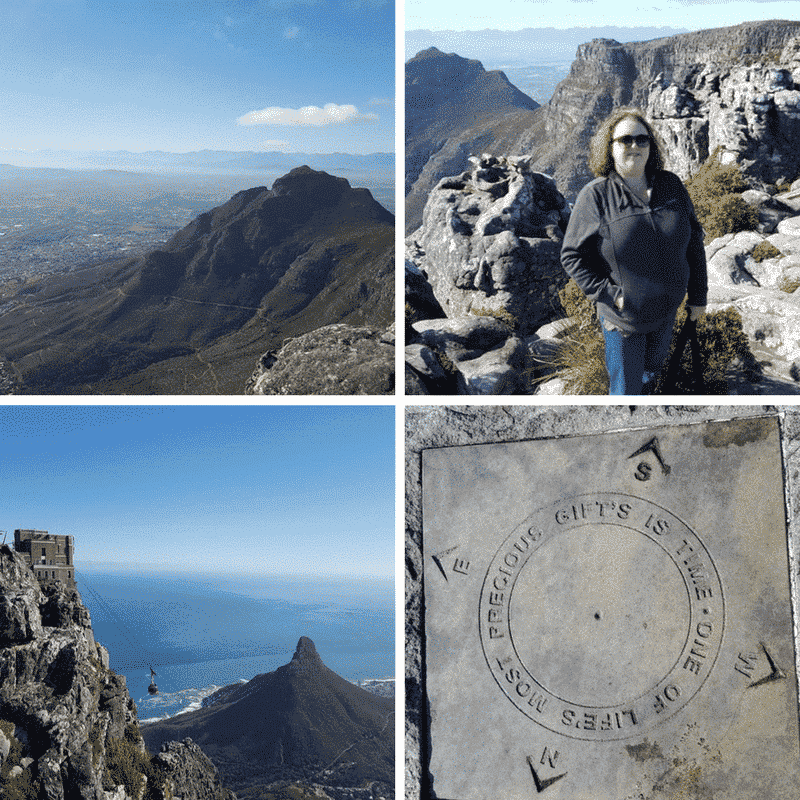 Our first full day in Cape Town involved a Cape Point and Peninsula Tour. Seeing the penguins on the beach at Boulders Beach was a highlight. It was a lovely day which finished with a group of us going to the Waterfront in Cape Town to have cocktails and dinner celebrating my birthday. Something which made it extra special is that one of the consultants who came was Dini Moorhouse, the FIRST EVER Scentsy Consultant! Our final day in Cape Town was a free day and Scentsy laid on free shuttlebuses to some of the main tourist points. We started the day off by getting a cable car up Table Mountain and all I can say is “wow wow wow”! I am very lucky that I have travelled quite a lot but this simply was one of the most breathtaking places I have ever been to and I feel extremely honoured that I have experienced it. There was one particular spot which I would say was the most beautiful place on the planet. On the final evening of our trip, we were taken to a restaurant called “Gold” which was a true African experience. Before we ate we were treated to bongo lessons which was a lot of fun! We then had a 14 course African feast whilst watching traditional African entertainment. Thank you will never be enough to say for this amazing experience. Memories and friendships were made, with experiences engraved in my heart forever. You Can Earn Incentive Trips! 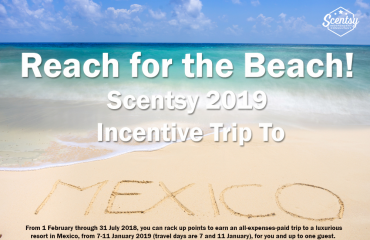 Everyone reading this blog can earn an incentive trip with Scentsy. It takes hardwork, dedication and belief but I cannot express how amazing they are. Our next incentive trip is an all-expenses Mediterranean Cruise aboard the Royal Carribean. Who is going to join me? Get in touch now for your free information pack about joining Scentsy and earning you that trip.